Kate - board only by Zinsky // £586.58 - 18% off. 2011 saw the marriage of Prince William and Miss Catherine Middleton. A spectacular day for the British public and those watching around the world. 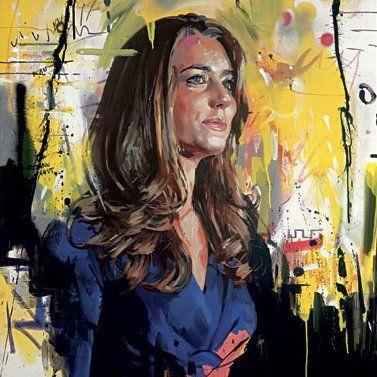 In this contemporary portrait of Kate, Zinsky catches her very essence, facial gestures and skin tone, set against a stunning contemporary background. Kate Middleton appears to have almost walked into the artists studio and we are observing half finished canvases, scattered around her. The yellow and black paint juxtaposed against each other looks amazing.